One of the few regions that superstar Bjarke Ingels has yet to invade is Southern California, and he’s made it clear that he wants that to change. It just might, soon. Ingels, we hear from an unnamed source, has been added to one of the teams competing to design the city’s 4th and Arizona mixed use project in Santa Monica, a city experiencing the beginnings of a building boom. They’ll replace RTKL on a team that also includes local firms Koning Eizenberg and Rios Clementi Hale. So now this shortlist is the most starchitect-heavy of any in the region, including not just BIG, but OMA with VTBS and Robert A.M. Stern with Brooks + Scarpa. In addition to a building that could reach up to 130 feet, the RFP calls for a “programmable gathering space that adds to the community’s civic life with public gatherings and seasonal activities.” Currently, the city hosts an ice skating rink on the site in the winters. 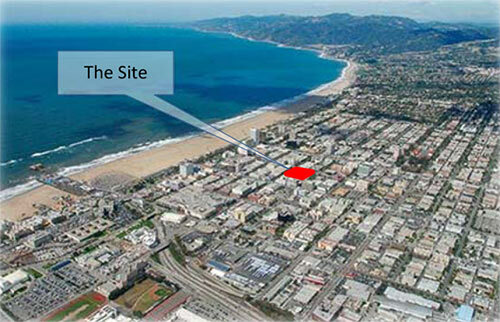 According to the RFP a winner is expected to be chosen by Santa Monica’s city council by this August. Stay tuned.